One Ocean operates expedition cruises using small ships that accommodate no more than 98 guests. One Ocean is proud to offer the highest staff to guest ratio in the industry - 5:1 on most voyages and as high as 3:1 on selected trips - ensuring the needs of individual guests are met and the highest standards of personalised customer service is provided during every voyage. One Ocean is innovative and develops itineraries that no other operators have featured before. 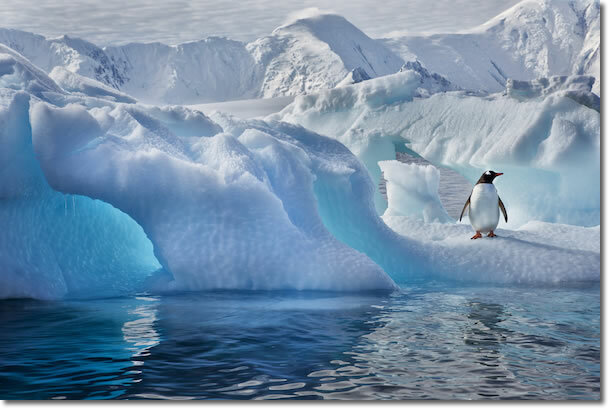 The introduction of its 'fly-in/cruise' itineraries allow One Ocean to spend more time in Antarctica than ever before. This equals more time on shore excursions, more time cruising in the zodiac boats and more time spent with One Ocean's expert team of guides - such as marine biologists, naturalists, photographers, glaciologists and adventure guides. One Ocean's ships have been described as the world’s most versatile and mobile wilderness lodges! These outstanding vessels are designed for long-range polar exploration and, as such, are solid, secure and able to navigate where other larger cruise ships cannot. The ice-strengthened ships combine modern comforts - including spacious interiors and ample outdoor observation decks - with first-class safety features and an impeccable safety record. They are the most stable ships travelling in polar waters. One Ocean caters to active travellers of all ages, fitness levels and interests with its wide range of activities available on and off the vessel. Educational presentations are given by experts in polar exploration, history, geology, ornithology, marine wildlife and photography take place daily, together with soft adventure excursions such as zodiac trips, hiking, kayaking, wildlife viewing and photography. The more adventurous may also enjoy camping on the ice (offered on most voyages at no extra cost). Wildlife and photography lovers will revel in the time spent with One Ocean's photographer-in-residence who provides insight, education and expert advice and who are dedicated to helping you obtain your 'once in a lifetime shot'. Many solo travelers join One Ocean's trips. One Ocean offers to match you up with a fellow traveler of the same gender and you can share your cabin. It’s a great system and means you won’t have to pay a single supplement. If One Ocean cannot find you a cabin mate – no problem, you will enjoy sole cabin use. This brochure contains a summary of all of One Ocean's Antarctic voyages, detailed dates and pricing information and an overview of its two celebrated expedition ships. Order your copy today and enjoy planning the trip of a life time. People who ordered Antarctica Expedition Cruises also ordered the free travel brochures below. Click on the images to find out more about these brochures.